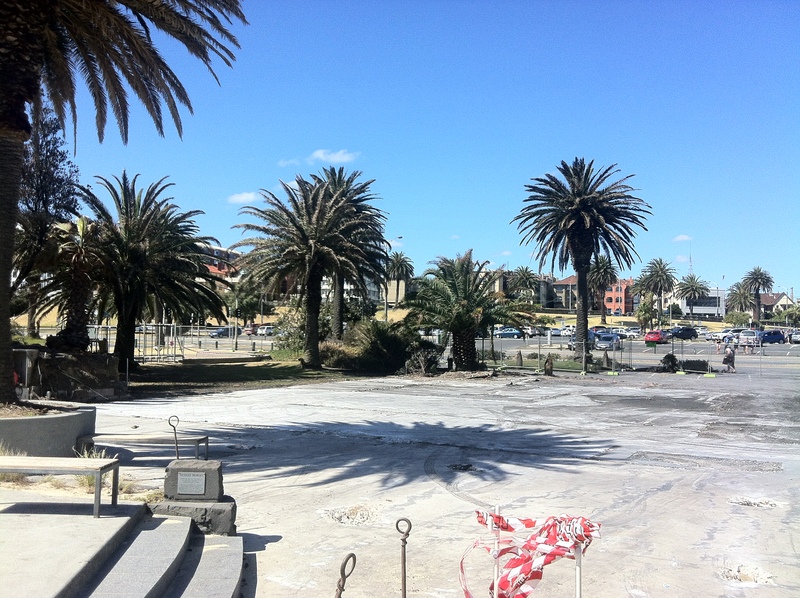 Last weekend a much loved restaurant on the waterfront of St Kilda was burnt to the ground. Fortunately no one was injured in the blaze which was reportedly caused by fat in the industrial exhaust system catching fire. It is no doubt a difficult time for the owners of the business and those employed by the Stokehouse, however as co-owner, Frank Van Haandel pointed out, they are far more fortunate than those in the Grampians who have suffered immeasurably worse in the recent bushfires. The site has now been cleared and media attention has turned to what to do with the site. The land itself is crown land which is leased out the City of Port Phillip for long term uses. Consequently the local council and the State Government will be significantly involved in the planning and design stages. The original structure was constructed around 1904 and has been extended and renovated several times over its 110 year history. Despite its age, the building was not listed on the heritage register and from many accounts was not of significant architectural value. Very early in the piece, the State Planning Minister Matthew Guy went on radio to voice his view that an architectural competition should be held to create an architecturally significant design to replace the original. This was later contradicted by The Age in a subsequent media piece however by then the community debate had started, replica or new design, a restaurant or something more? There are many people, it seems, who are advocating for the building of a replica or a copy of what was destroyed. This position has some precedent in the more historically significant St Kilda Pier Kiosk, which also met its demise in flames back in 2003. The Kiosk had been standing at the end of the pier since 1904 and had subsequently made a very large impression on the hearts of locals. After much political and professional argument, it was decided to rebuild a replica from the original design. At the same time an addition to the rear of the building was completed in a contemporary style to increase the floor space. This act in a way re-wrote history in an attempt to claim back something that was gone. 20.1 Reconstruction is appropriate only where a place is incomplete through damage or alteration, and only where there is sufficient evidence to reproduce an earlier state of the fabric. In some cases, reconstruction may also be appropriate as part of a use or practice that retains the cultural significance of the place. Places with social or spiritual value may warrant reconstruction, even though very little may remain (e.g. only building footings or tree stumps following fire, flood or storm). The requirement for sufficient evidence to reproduce an earlier state still applies. 20.2 Reconstruction should be identifiable on close inspection or through additional interpretation. The charter sets out two key requirements to determine if a replica rebuild process will provide an acceptable outcome. Firstly does the building in question hold historical, social or spiritual value to the community? Without holding any value a replica rebuild is pointless. Once it has been determined that the building held significant value to the community the next requirement is to access the feasibility of reconstructing a finished product such that it doesn’t look like a poor quality caricature of the original. One of the most important aspects of this is accessing the documentation of the deceased building, to determine if there is enough DNA to successfully bring it back to life. 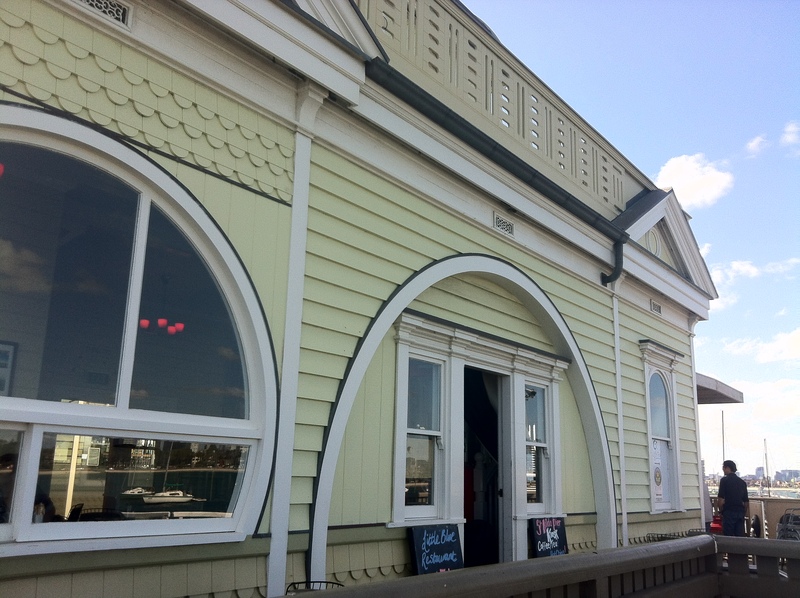 In the specific case of the Stokehouse I would argue that whilst there is clearly some social value placed by a small section of the community, these memories seem to be more in response to the experience of the people, food and atmosphere rather than the building itself. I have no doubt that those most familiar with the building will still have a strong attachment to the materiality of the place as it used to be. I would also argue however that these people are a small group likely limited to the staff and very frequent patrons, rather than the community at large. Even if I am wrong and the community at large does have a strong emotional attachment to the building that was, an assessment must be made to determine if there is sufficient documentation to reconstruct the Stokehouse. Further to that, decisions will need to be made as to what year it should be modelled off as the building experienced had many changes over its lifespan. A worst case scenario would have a poor quality replica commissioned which included all the previous buildings shortcomings and none of qualities or spirit which trigger fond memories of time gone by. If the building were on private property ultimately it would be substantially up to the owners to decide how they should rebuild. However on this case the land is owned by the State Government. This means that they rightly have a substantial say in what gets built. Clearly in exercising this control they must act in the best interest of the community they serve. This brings us back to a new design which can take advantage of the unique site and provide maximum value to the community. The idea of an architectural design competition certainly has merit in generating dozens of possibilities for the site. The big question is could such a process capture the soul of the previous experience whilst also taking advantage of all the new opportunities a rebuild offers. I would think this would ultimately depend on how the competition was run and how the winner was selected. 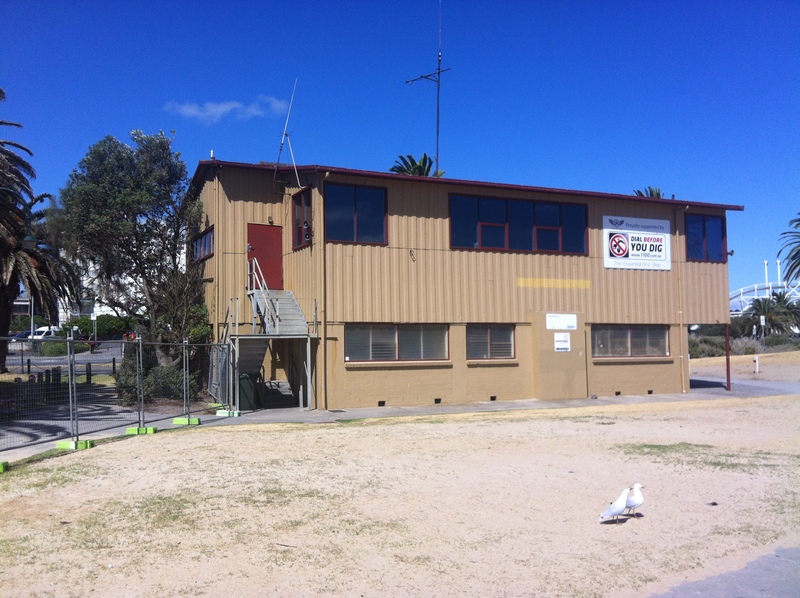 Another opportunity that a redesign would offer is the opportunity to simultaneously rebuild and possibly integrate the St Kilda Lifesaving Club which is currently housed in the ugly shed next door. In situations like this where a building is replacing one lost unexpectedly, it is always tempting for the owner to desire a lightning fast approach. The problem with this is that it often leads to reduced quality which will remain long after the urgency of the initial situation is long forgotten. To prevent this, in this case, I would like to see a temporary structure commissioned to provide a continuance of the fine food experience in the idyllic beach setting. This temporary structure could be prefabricated and modular allowing its reuse elsewhere once a more permanent building was ready for construction. It would also enable the business to keep a presence on the site and the local council to receive some of its rent. If a design competition is no longer an option, as seems to be the case, it is clear to me that a more conventional architectural design process should ensue. This would enable experienced and highly qualified architects the time to properly investigate the site, assess the requirements of the Stokehouse and the wider community and then provide the well-rounded and considered response that the site and the community deserves. This entry was posted in all posts, Heritage, News, Uncategorized and tagged Amanda Stevens, architectural design, City of Port Phillip Mayor, community, Cr Amanda Stevens, David Brand, International Council on Monuments and Sites, Matthew Guy, Professor Philip Goad, rebuilding after disaster, St kilda, State Planning Minister Matthew Guy, Stokehouse, The Burra Charter, University of Melbourne. Bookmark the permalink. 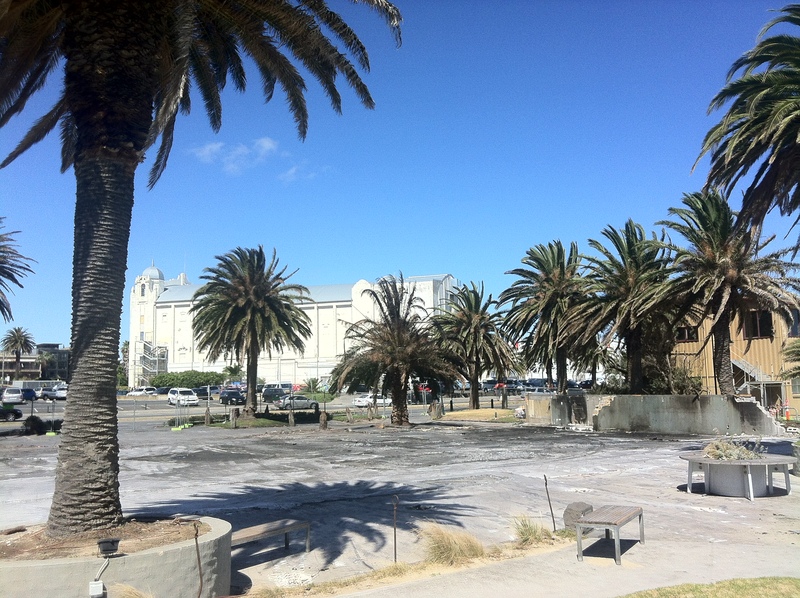 4 Responses to What to do about the Stokehouse? I agree entirely. While many Meblournians have fond memories of the Stokehouse, I’m not sure if it was the building itself that played any part in that. I drove past it many times and am currently struggling to picture what it looked like! I don’t think it had much character to the street (although possibly its face was to the beach) and I wouldn’t say that there was any value in rebuilding a replica of the original structure. There is now the opportunity to rethink the site and what made it valuable to the community and design a modern and sustainable home for the Stokehouse. With the same management and staff, it will definitely retain it’s popularity. It has just been announced that a temporary ‘pop up’ restaurant will be built on the site until such time that a permanent building can be designed and approved. This is a fantastic first step. Lets hope that when the design for the permanent structure is revealed, it makes the best use out of this fantastic waterfront setting. Personally I think a 90% replica is in order just like the kiosk and other major projects. The life saving club however. Red + Black I predict you go on RRR. Then there are the extremes of triangle design out there. 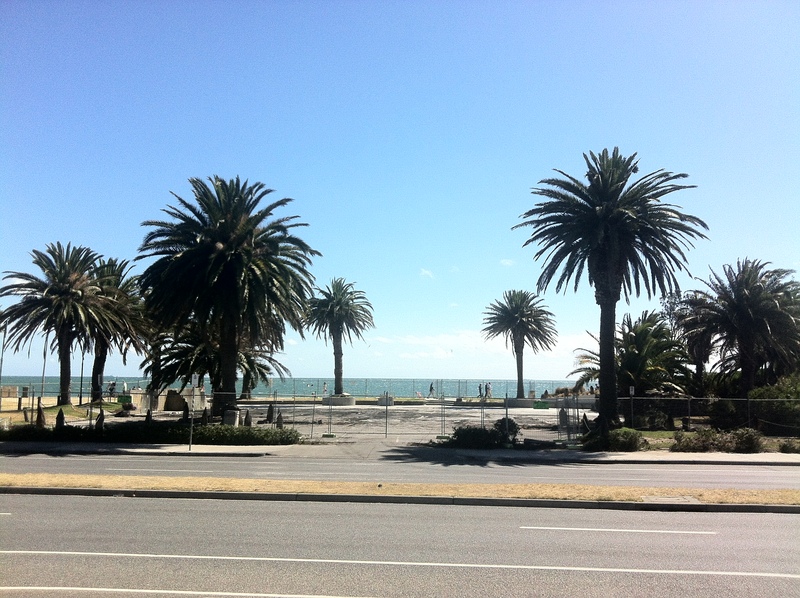 Well what do you guys think of the idea of Wet Republic coming to St Kilda to compete with Republica? Republica and Wet Republic might be too slippery for the public to handle?